Is it that you come to know how to write, or is it that the writer, writing and knowing emerge together? 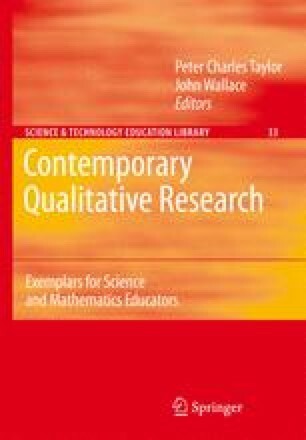 I can say that since starting on research my writing has developed in style and, as a process of inquiry (Richardson, 1998), writing helps me work out what to say. The process includes reflection and searching for language to define the situations under interrogation. So, through writing, I have come to understand my teaching and my existence in this world in new ways. However, I still do not find the act of writing easy. I rely on the advice of others to help me revise my drafts. A friend who reads my work gets so irritated by my frequent use of participles and by commas that she says I scatter like confetti. So after I complete a paper, I do an electronic search on ‘ing’ and ‘,’ to rectify the problems. Other advice I have been given is to write in the present tense for crispness and impact, and to aim for consistency in the position of references within a paragraph – so that they are all at the beginning of a sentence, such as “van Manen (1990) said ”, or all at the end. This makes for smoother reading.